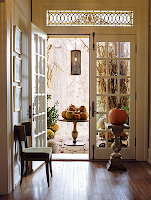 Janie Bress - My North Shore Blog: Boost Your North Shore Home's Appeal This Fall! Last week we looked at some of the key mistakes you can avoid when selling your North Shore home. As a North Shore Real Estate agent, I understand that it can oftentimes seem overwhelming to think of going through the home selling process. There are a number of aspects that all need to fall into place at once, but having an experienced North Shore Real Estate agent by your side each step of the way can ensure everything runs smoothly. While the appearance of your North Shore home is only a portion of the equation of getting your home sold; it’s one aspect on which you, as the seller, can have a large impact. As I mentioned in my previous post, the fall can be one of the best times of year to sell your home! Buyers are anxious to get settle in their new home before the holidays, and you have the opportunity to really play up the appeal of the fall season! Here are a few ways that you can make your home appealing to buyers this fall! 2. Focus on curb appeal- The fall is a great opportunity to play off the beauty of the season. The changing leaves and cooler weather can allow you to enhance the look and feel of your walkway and front porch area. Add red and orange mums to your highlight your front door, or a bench with a cozy throw to give the feeling of warmth from the moment buyers see your home. You’ll also want to be sure to keep your yard well maintained and leaves at bay. 3. Create a Sensory Experience- Whether you light fall scented candles or have freshly baked cookies on the counter, appealing to the senses of taste and smell can immediately make buyers relax and feel comfortable in your home. 4. Give Warmth- If you have a fireplace, this is one of the things you’ll want to be sure to draw attention to in your home. If it’s a cooler fall day, have the fireplace lit when buyers walk in so they get a sense of how cozy your home can be for the cooler months ahead. 5. Set the Table- Staging your dining room with beautiful place settings and fall decor can help buyers envision hosting holiday dinners in your home. It also appeals to the heart as you’re creating thoughts of friends and family around the table. If you’re ready to put your home on the North Shore Real Estate market, or would like to learn more about how I will customize my home selling strategy for your home; please contact me today!